It’s totally no problem to rock your age – it’s awesome to have much experience in every sphere! But sometimes ladies put on clothes and accessories that may give you unnecessary old-fashioned look. What are these things to avoid them? 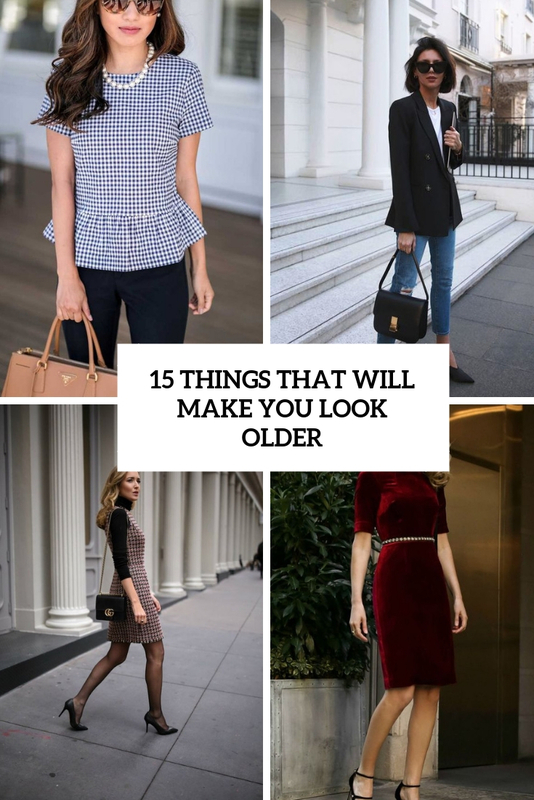 Okay, let’s be honest: office attire often makes you look older and more formal, this is the effect to achieve but you may still avoid old-fashioned looks wearing oversized blazers that are so much in trend now. A fitted blazer, especially with a matching skirt will make you look much older, so avoid such looks if possible. 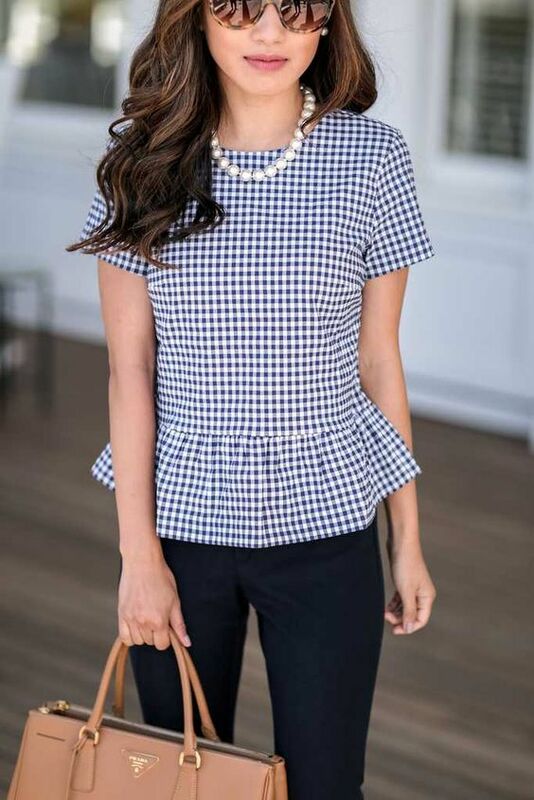 A sheath dress is a popular item for wearing to work, too, and it definitely makes you look older and old-fashioned, too, such gowns aren’t popular now, and everybody prefers something more comfortable. A-line, fit and flare and other comfier dresses are what you need for a fresher and younger look. Avoid any heavy fabrics like tweed or velvet if you wanna look younger. 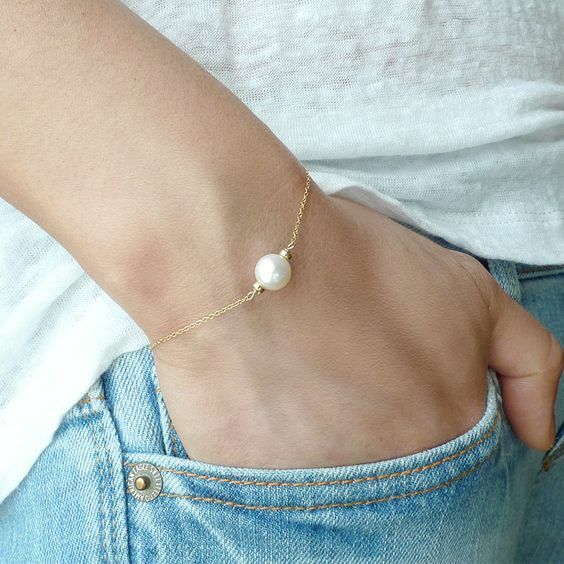 Pearls always add years unless you wear them right. 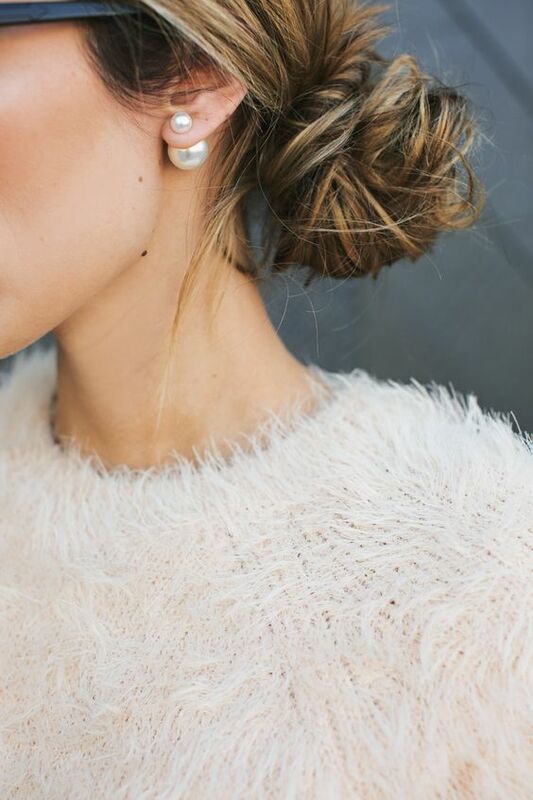 First of all, there are tons of stylish pearl accessories that are super edgy: large pearl earrings, hairpins, layered necklaces, bracelets with a single pearl and much more. 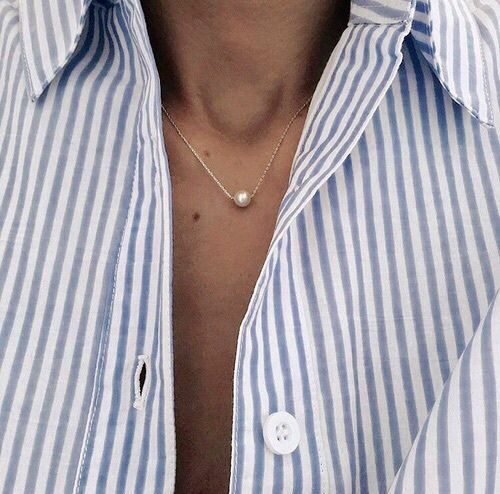 Second, you may wear traditional pearls with something relaxed like an oversized shirt or blazer, jeans and cashmere to achieve a balanced look. Shine bright!